At NYT Blog: Are Fairy Tales Really for Children? Puss in Boots (2011): Any Fans? Doctor Who: A Fairytale Life , the paperback release of the 4 issue miniseries, was released yesterday but I decided to wait until today to post about it since I previewed it previously on the blog. What's better: an ugly reality or beautiful fantasy? This is the question the Doctor is forced to confront in a medieval fantasy world where Amy Pond finds herself reluctantly cast as a damsel in distress. Matthew Sturges, Eisner Award-nominated writer of Jack of Fables, spins this yarn, featuring covers by Mark Buckingham of Miracleman and Fables fame. It features the new Doctor, correct? It is with the 11th Doctor, yes. It’s the Doctor and Amy, and there’s no Rory around. The basic setup is that the Doctor is really daring Amy to think of some place where he can take her that is beyond imagining; something that is really good. She tries to flummox him and she says when she was a little girl, before she met him that she had always dreamed of going to a fantasy world with fairies and unicorns and elves and he thinks for a minute and then says, "Yes. I can do that." So he takes her to the holiday planet of Caligaris Epsilon Six, which is conceived during the height of the third Great and Bountiful Human Empire -- which is neither great, nor bountiful, nor overwhelmingly human, as the Doctor explains -- in the year 7,704. It is dedicated to being an imaginary re-creation of what a fairy tale world would be like. But the Doctor being the Doctor lands about 500 years too late and this holiday planet has become something else entirely, and something or someone has been kidnapping people and taking them away to a dread tower. It’s the Doctor’s job to find out who or what is causing everything to go wrong. Sometimes you just don’t want to go out. Recharge your mobile phone via landline. Beloved editor, artist and writer Terri Windling is in need, and we are asking for your help in a fundraising auction to assist her. This auction will combine donations from professionals and fans in an online sale to help Terri through a serious financial crisis. Terri is the creator of groundbreaking fantasy and mythic art and literature over the past several decades, ranging from the influential urban fantasy series Bordertown to the online Journal of Mythic Arts. With co-editor Ellen Datlow, she changed the face of contemporary short fiction with The Year's Best Fantasy and Horror and other award-winning anthologies, including Silver Birch, Blood Moon and The Green Man: Tales from the Mythic Forest. 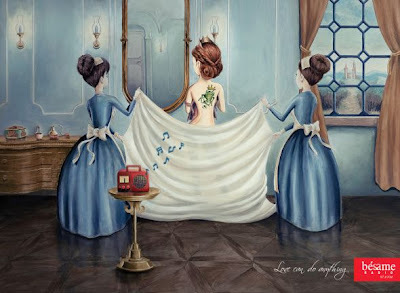 Her remarkable Endicott Studio blog continues to bring music, poetry, art and inspiration to people all over the world. I just finished putting up four of the SurLaLune book titles for auction on the site, but there is much better stuff than that there! 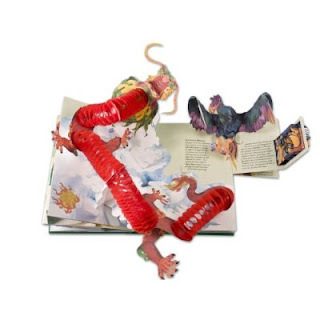 Personalized art, out-of-print rare editions and one-of-a-kind types of things. So go check it out and bid or even consider offering something yourself. Living as an author/artist is a dubious experience with irregular payments, taxes, insurance, living expenses and no corporate benefits. I am very intimate with the strains it can cause on your peace of mind and health--mental and physical--but without people taking the risk and making the sacrifice, we wouldn't have so much of the wonderful art of all forms to enjoy in the world today. Yes, we get to do what we love, but there are sacrifices, often in the financial. The other wonder of this community is how often they will step up and support each other through fundraisers like this when many of their own pocketbooks are stretched. Terri has often been one of the first to step up and volunteer work and services and now it is her turn to receive. I am blessed to participate in a small way and you can, too. And I sincerely believe it all comes back again either in straight financial blessings or other means, so thank you and bless, too. Ash by Malinda Lo has been temporarily dropped to $2.99 in ebook format. It's still $8.99 in paperback. These usually only last a few days to a few weeks so don't dawdle if you want it. In the wake of her father's death, Ash is left at the mercy of her cruel stepmother. Consumed with grief, her only joy comes by the light of the dying hearth fire, rereading the fairy tales her mother once told her. In her dreams, someday the fairies will steal her away, as they are said to do. When she meets the dark and dangerous fairy Sidhean, she believes that her wish may be granted. 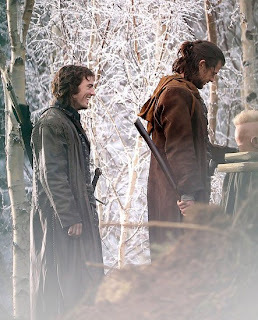 The day that Ash meets Kaisa, the King's Huntress, her heart begins to change. Instead of chasing fairies, Ash learns to hunt with Kaisa. Though their friendship is as delicate as a new bloom, it reawakens Ash's capacity for love-and her desire to live. But Sidhean has already claimed Ash for his own, and she must make a choice between fairy tale dreams and true love. 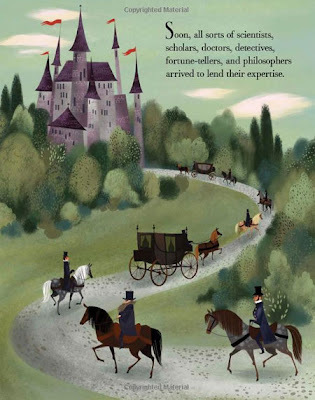 The Merchant's Daughter is released today, a new book by Melanie Dickerson who previously published The Healer's Apprentice , which retold Sleeping Beauty. The Merchant's Daughter retells Beauty and the Beast, a fan favorite here at SurLaLune. An unthinkable danger. An unexpected choice. Annabel, once the daughter of a wealthy merchant, is trapped in indentured servitude to Lord Ranulf, a recluse who is rumored to be both terrifying and beastly. Her circumstances are made even worse by the proximity of Lord Ranulf's bailiff---a revolting man who has made unwelcome advances on Annabel in the past. Believing that life in a nunnery is the best way to escape the escalation of the bailiff's vile behavior and to preserve the faith that sustains her, Annabel is surprised to discover a sense of security and joy in her encounters with Lord Ranulf. 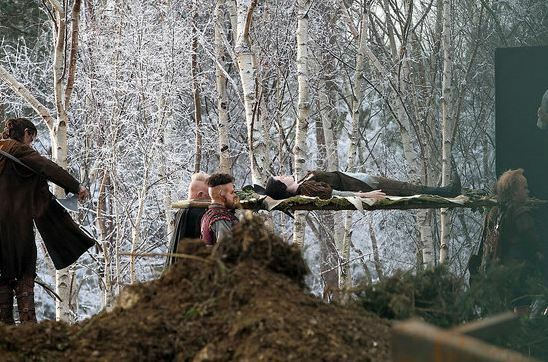 As Annabel struggles to confront her feelings, she is involved in a situation that could place Ranulf in grave danger. Ranulf's future, and possibly his heart, may rest in her hands, and Annabel must decide whether to follow the plans she has cherished or the calling God has placed on her heart. I just learned about this one today, so hopefully if you are interested in the topic and have a proposal to submit, you already have since the deadline is December 1. However, registration and attendance are still open, too. This one sounds interesting especially considering the conference's wider theme of "Foods & Culture(s) in a Global Context." The PDF for the fairy tale specific paper call is copied below. The main is at Southwest Texas Popular Culture and American Culture Association. Panels now forming on topics related to all areas of myth and fairy tale and their connections to popular culture. To participate in this area, you do not need to present on both myths and fairy tales (one or the other is perfectly fine), but we have seen that bringing both genre categories into conversation has led to extremely valuable and stimulating conversations. Scholars, teachers, professionals, and others interested in Myths And Fairy Tales are all heartily encouraged to participate. Graduate students are particularly welcome, and should consider submitting their conference papers for one of the Graduate Writing Awards, especially the Kenneth Davis Award for Folklore Studies, which recognizes “an outstanding graduate essay in the field of folklore studies.” (full papers due January 15, 2012) http://swtxpca.org/documents/112.html#KennethDavisAward_Bookmark. If you wish to form your own Myth or Fairy Tale-focused panel, I would be glad to facilitate (panels focused on one particular tale are especially encouraged). If your work does not focus on Myth or Fairy Tale but fits within the broad range of areas designated for the upcoming conference on American & Popular culture, I strongly encourage you explore the long list of areas http://www.swtxpca.org/documents/123.html. 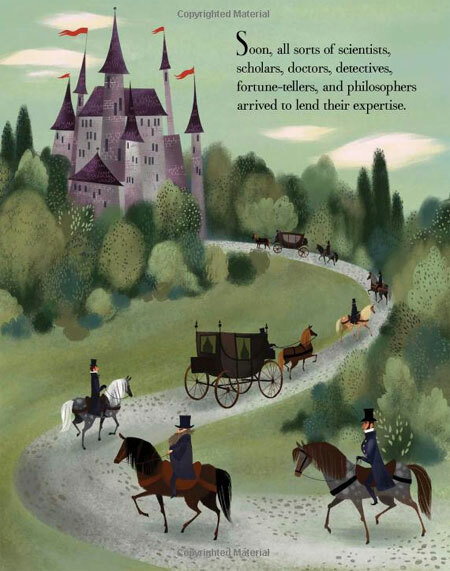 And please do pass along this call to any friends and colleagues who work with myths and fairy tales. We’ve had some wonderful and wonderfully diverse panels over the last few years, and I look forward to seeing that tradition continue in 2012. Please submit 200 word abstracts and 600-800 word proposals for panels by 1 December 2011, and please note that all presenters must be registered for the conference by 31 December 2011. There are LOTS of articles and discussions consisting "Fairy Tales: Are They For Children?" currently circling the media thanks to all the dark retellings visible right now, such as Grimm and Snow White and the Huntsman to name a few. 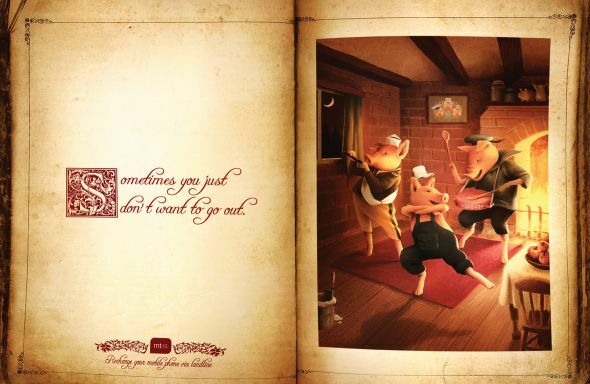 The latest was a blog post on the New York Times site yesterday at Are Fairy Tales Really for Children? By KJ DELLANTONIA. Of course, these are not new questions to readers here, but it is interesting to see what the mainstream world says. A classic fairy tale is dark, implacable in matters of life and death, and above all politically incorrect, and children (including my childhood self) love them anyway. Parents are the ones who struggle. 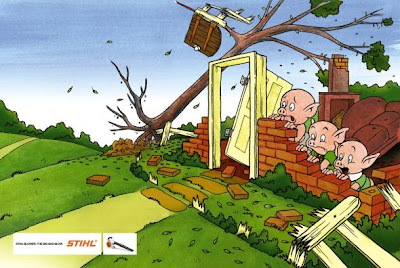 We do not want to read of how the father of Hansel and Gretel abandons them in the woods at the behest of his new wife with scarcely a backward glance. We balk at the description of Sleeping Beauty, who has “all the perfections imaginable,” which is to say that she is beautiful, witty, graceful, and sings, dances and plays music “perfectly well” but has apparently no need of brains, ambition or strength. As for “Little Red Riding Hood,” who never returns from her trip to Grandma’s in the version told in “The Blue Fairy Book,” Andrew Lang’s classic compilation? It was all I could do, reading it when my kids were younger, to keep from tacking on a different ending myself. I didn’t. 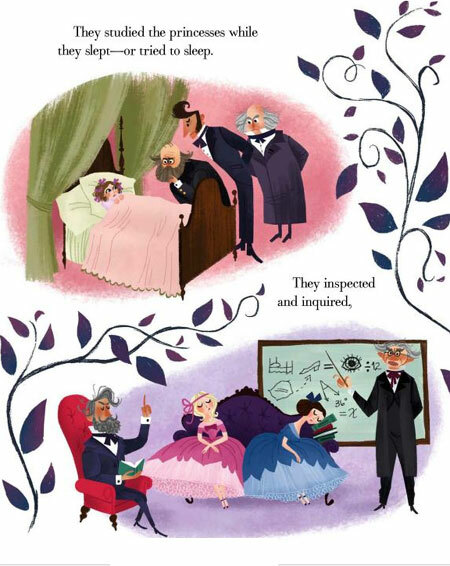 But that moment — when you turn the page of a familiar tale and find yourself saying “and presently he fell upon the good woman and ate her up in a moment” to your wide-eyed child — stirs something universal in parents just as experts say fairy tales speak to something universal in kids. It’s not that we don’t think our kids have contemplated being orphaned or eaten by beasts. It’s that we don’t want to appear to condone that kind of thing. So although I have read fairy tales aloud, many times, and I hope to read these, I have to admit that there are plenty of nights when I reach for something with a little less bite. 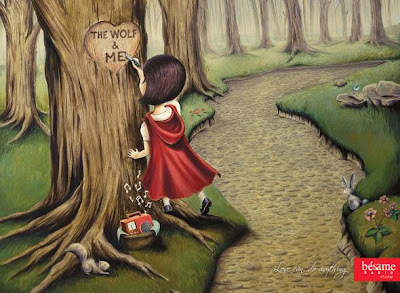 Why is it that the Little Red Riding Hood concepts are often the strongest when multiple tales are used? This hit the media today--at the least the media that covers horror films--so I'm not linking to a specific source since they all used the same press release. Look! 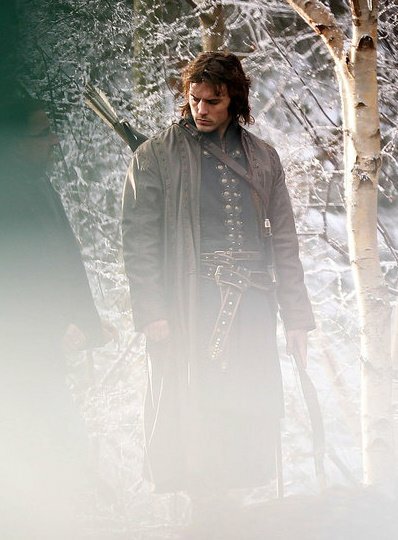 Another Snow White film! 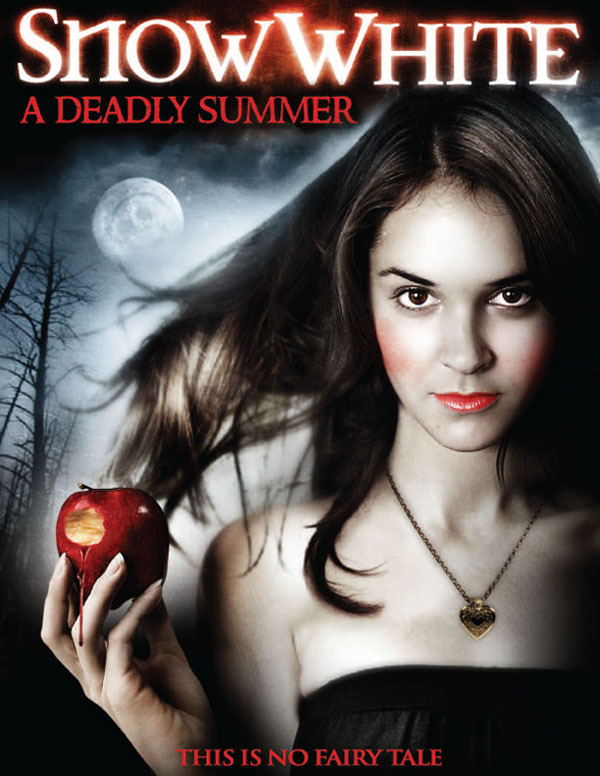 Snow White: A Deadly Summer in 2012. A modern retelling of a timeless tale. Snow is abducted at the order of her wicked stepmother and taken to an isolated wooded discipline camp, run by a ruthless hunter. When each of her fellow seven campers begin dying off one by one, Snow must uncover the dark and twisted secret of the forest before she becomes the next victim. Last week we asked you to tell us which new fairy tale drama does a better job of bringing the classic stories to life—Grimm and its real-world fairy tales, or Once Upon a Time and its dual universes that keep fairy tales intact and separate from our world—and boy, did you respond! Pat yourselves on the backs, guys, because the story received more than 200 comments and many of you showed real passion for the topic. The results are obviously in favor of Once Upon a Time. The article shares some comments from viewers, too, in favor of each. Quite interesting. So which one is your favorite so far? Is TV.com's small sample accurate to SurLaLune readers too? 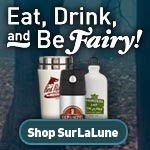 I know some of you are interested in CafePress items through the SurLaLune store so I thought I would share these coupon codes for sales today and part of this week. There are many new items available through CafePress such as new phone covers and Kindle cases so if there is something you want, please let me know and I will try to design it and make it available. There won't be quick turn around today, but I should be able to meet needs before the end of the second sale also detailed below. And as always, thanks for supporting SurLaLune! *Free Economy shipping for cafepress.com shop orders of $40 or more, excluding shipping charges, gift wrap charges and applicable sales tax. All orders must be added to cart from CafePress.com shops only. Excludes framed print orders and CafePress Marketplace orders. Delivery address must be within the United States and cannot be a PO Box. All orders will be Economy shipping unless the order is not eligible for Economy shipping (e.g., order exceeds Economy weight restrictions), in which case order will be automatically upgraded to free Standard shipping. Coupon code SHOPNOV28 must be entered at check out. Promotion starts on November 28, 2011 at 12:00 a.m. (PST) and ends on November 28, 2011 at 11:59 p.m. (PST). Offer valid online at cafepress.com only, cannot be combined with any other coupons or promotions and may change, be modified or cancelled at anytime without notice. This promotion cannot be applied to past orders. *Save 15% off CafePress.com shop orders of $45 or more, excluding shipping charges, gift wrap charges and applicable sales tax. All orders must be added to cart from CafePress.com shops only. Excludes CafePress marketplace purchases (e.g. all products added to cart from URLs beginning with the following (i) http://shop.cafepress.com, (ii) http://t-shirts.cafepress.com and/or (iii) http://www.cafepress.com/sk/), Gift Certificates, Flip products, SIGG bottles, Thermos products, yoga mats, and CafePress Make and bulk orders. Coupon code ADEC1145 must be entered at check out. Promotion starts on November 29, 2011 at 12:00 a.m. (PST) and ends on December 1, 2011 at 11:59 p.m. (PST). Offer valid online at cafepress.com only, cannot be combined with any other coupons or promotions and may change, be modified or cancelled at anytime without notice. This promotion cannot be applied to past orders. Encyclopedia Mythologica: Dragons and Monsters Pop-Up by Matthew Reinhart and Robert Sabuda has dropped in price to $16.79. I've already bought a copy for one gift and another for myself. I got to see Reinhart's presentation for the book at the Southern Festival of Books and it doesn't disappoint. Lurking behind this intriguing cover, a Kraken grapples with a ship on the high seas; dragons from Eastern and Western traditions spring to life; and a Medusa, snake-hair twisting and hissing, turns the reader to stone. Deeper inside, an ancient, decrepit vampire rises from his coffin; a lycanthrope is caught in the light of the full moon and transforms; and Bigfoot hides behind a tree, ducking his human pursuer. Master paper engineers Matthew Reinhart and Robert Sabuda unfold the legends and lore of cultures around the world to reveal these stunning creatures and many more. 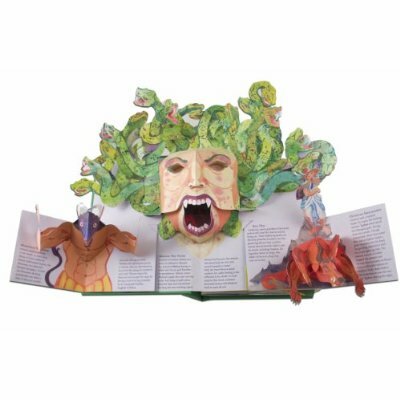 Pop-up fans and fantasy lovers will be equally enthralled by the dynamic creatures depicted in this astonishing volume, the climax of the Encyclopedia Mythologica trilogy. The Universe of Oz: Essays on Baum's Series and Its Progeny edited by Kevin K. Durand and Mary K. Leigh is another bargain ebook currently discounted to $3.99, 89% off the $35.00 paper price. So for all you Wizard of Oz fans, this should be of interest. I own a review copy and have posted about it before. I'll share the description and table of contents again here. The Wizard of Oz has captured the imagination of the public since publication of L. Frank Baum’s first book of the series in 1900. Oz has shaped the way we read children’s literature, view motion pictures and experience musicals. Oz has captured the scholarly imagination as well. The seventeen essays in this book address numerous questions of the boundaries between literature, film, and stage--and these have become essential to Oz scholarship. Together the essays explore the ways in which Oz tells us much about ourselves, our society, and our journeys. Kevin K. Durand is Math and Physics Professor at the LISA Academy College Preparatory School in Little Rock, Arkansas. He has published broadly in philosophy, religion, and ethics. Mary K. Leigh is a Doctoral Academy Fellow at the University of Arkansas. It's Cyber Monday and there are countless ebook deals today which I am busily exploring, with over 900 books deeply discounted at Amazon. 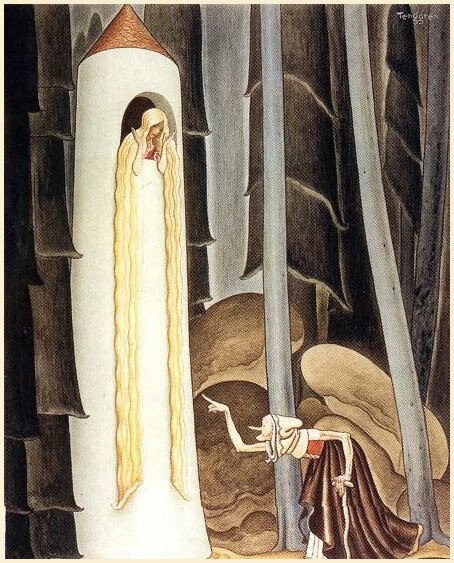 I will be exploring the titles myself and will share specific ones related to fairy tales and folklore if I find some. To get started, here is my first picture book purchase for Kindle. Since I now have a Kindle Fire, too, I wanted to try out some picture books and this was a great place to start. I don't imagine myself becoming a big proponent of digital picture books--I might be addicted to novels and other reading on an ereader, but I am for regular paper all the way on paperbooks. But I also like having some as backup. 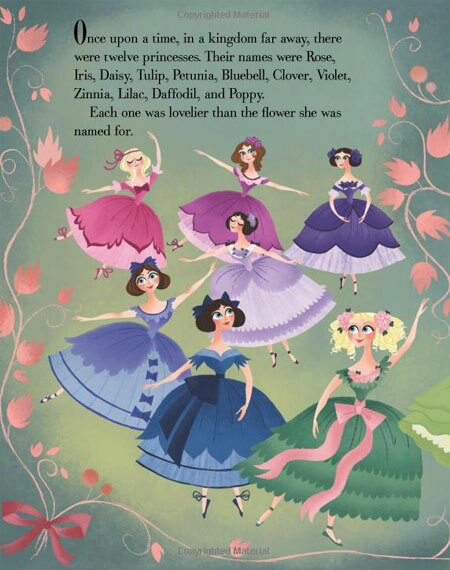 So my first ebook picture book for $2.99 is Twelve Dancing Princesses by Brigette Barrager. I didn't own this in paper and now I at least own it as an ebook. Lovely. My second purchase, not a fairy tale, but a book I like was Duck! Rabbit! for $1.99 because I just like that one. I own many, many picture books and this is another favorite. Call for Papers: How Do Our Views About Hair Affect Children? 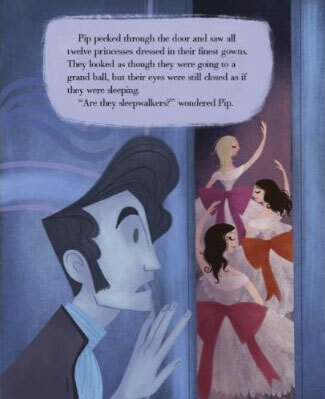 This one is quite intriguing and I do hope at least one Rapunzel article makes it into the final collection! I know Rapunzel intrigued me with her hair as a child and now several new generations will get Disney's take on it, too, to influence them. How Do Our Views About Hair Affect Children? From Barbie, Britney and Rapunzel to Pocahontas and Beyoncé, matters related to hair can be quite complicated when it comes to race, gender and class. A special issue of The Lion and the Unicorn will look at how hair affects the politics of identity in children's literature and for children generally. Submit essays of 15-20 pages (4,500-6,000 words) and a 250-word abstract by noon July 1, 2012, to editor Neal A. Lester, Dean of Humanities and Professor of English at Arizona State University. Stihl Blower. 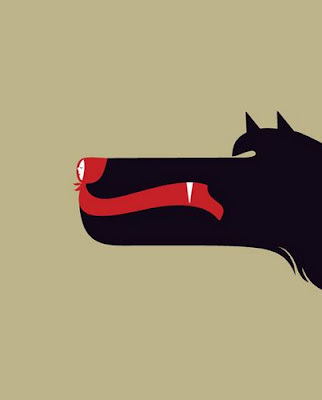 The big bad blow. Now, I liked this one. It worked for me.